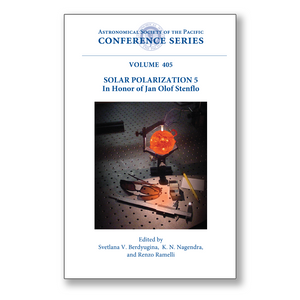 SPW5 is the 5th in a series of international solar polarization workshops initiated more than a decade ago. The aim of this workshop was to explore in depth the physics and origin of polarized radiation in the solar atmosphere and its use for understanding the Sun. Great advances have been made in recent years in the area of high resolution spectro-polarimetry. New results in the quantum theory of polarized light scattering in the presence of magnetic and electric fields now2 help the interpretation of a wealth of data from new major solar telescope facilities and novel polarimeter systems. This workshop dealt with the theory of polarization physics, observational advances, and the efforts to develop novel instrumentation for advanced polarimetry. Theoretical contributions addressed molecular physics, the still enigmatic quantum aspects of the Second Solar Spectrum, and polarized radiative transfer in multidimensional, magnetized, and scattering atmospheres. The observational contributions dealt with the behavior of polarized spectral structures in the presence of magnetic fields and the behavior of the Zeeman and Hanle effects and their diagnostic use in determining the fine structure of solar magnetic fields. Connections between solar and stellar polarimetry and magnetic fields were explored. Several new telescope projects related to polarimetric instrumentation, and facilities for ground and space-based observatories were discussed. Recent works on coronal, infrared, and radio polarimetry were also presented.